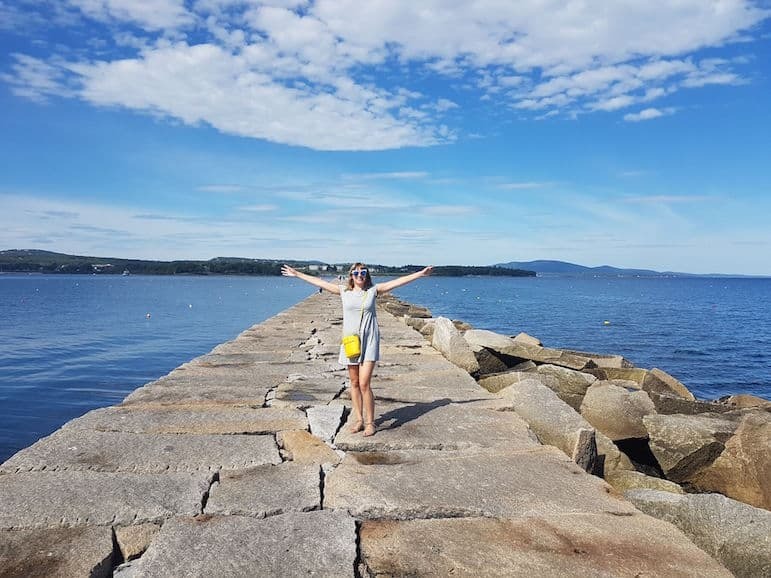 Lobster, lighthouses and landscapes laced with history – all were on my Maine road trip itinerary and here proved the perfect place to kick off my great American adventure down the east coast. 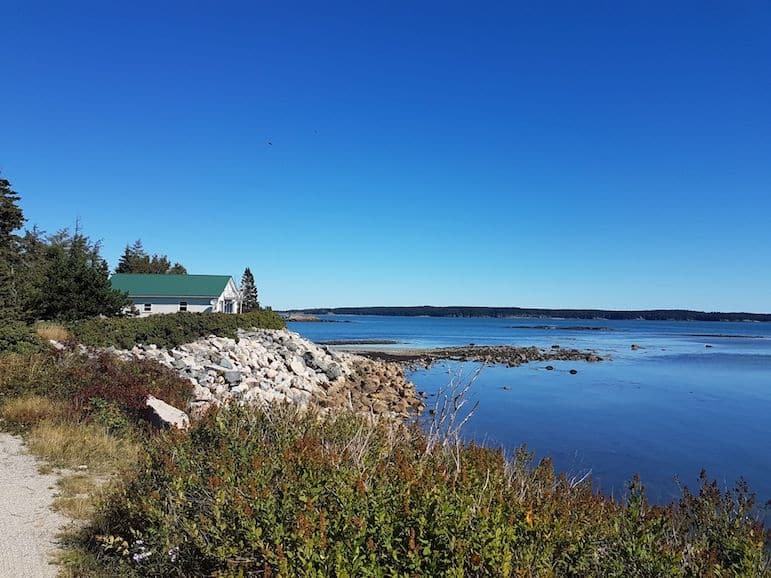 Stretching from Fort Kent at the northern tip of Maine before migrating its way for 2,369 miles to the semi-tropical climes of Key West in the Florida Keys, few roads can lay claim to as much historical importance as the US Route 1. US1 follows the entirety of the east coast, connecting all 13 of the original colonies, where pilgrims settled in the 17th century. It started life as a trail and later a wagon road, developing in tandem with increased communication between colonies. George Washington himself travelled on this route. 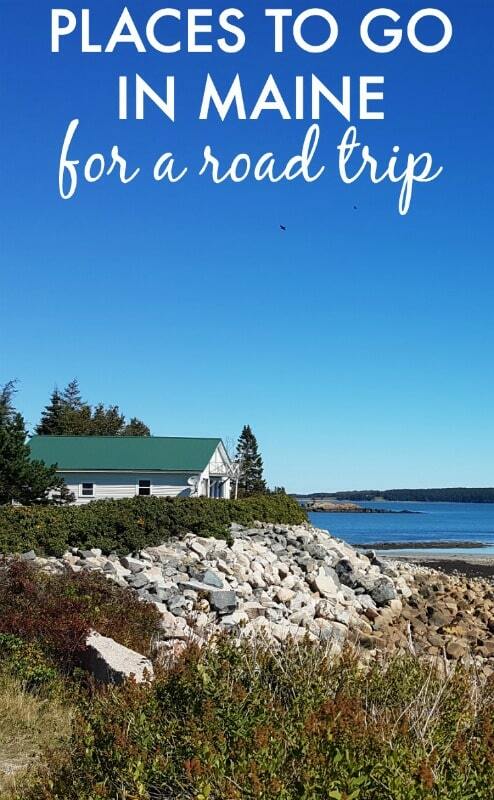 From the northern end of US Route 1, right by the Canadian border, to the cute coastal towns of Ogunquit and York to the south, this road trip takes in the best places to go in Maine. The road, weaving through scenic byways, coastal views and national parks, is the star – but there are plenty of places to stop and stare along the way. Highlights include the cool city of Portland, a winery known for its blueberry blends, and lobster – always lobster. This is where it all begins. Or where it ends, depending on who you ask. Confused? Photos from the 1950s show signs in both Fort Kent and Key West claiming to mark the start of the historic US1. But perhaps it doesn’t really matter. For me, at least, this is the beginning of the road and an adventure that will take me through some of the most diverse and fascinating landscapes in the States. The patchwork of regional highways linking the early settlements was fused together and designated US Route 1 in 1926, with a granite monument now heralding “America’s First Mile”. 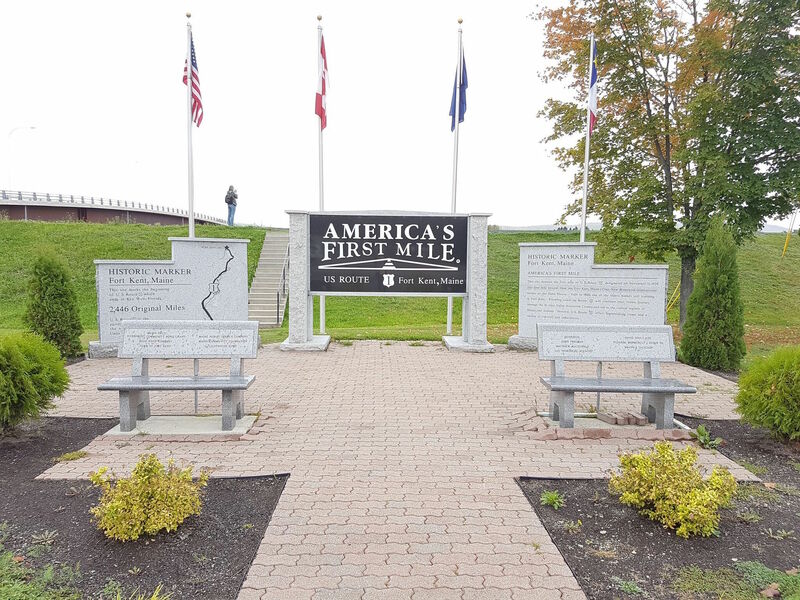 Built in 2010 to celebrate this historic road, which follows the east coast’s “fall line” – farthest inland navigable points for commercial shipping – the monument overlooks the St. John River to Claire, New Brunswick, in Canada. A bridge next to it spans the two countries. If you stopped in the middle, you could have one foot in each. The first stretch of this road hugs so closely to the Canadian border, in fact, that my phone didn’t know what country it was in. “Welcome to Canada” it greeted me one minute – “Welcome to the USA!” the next. 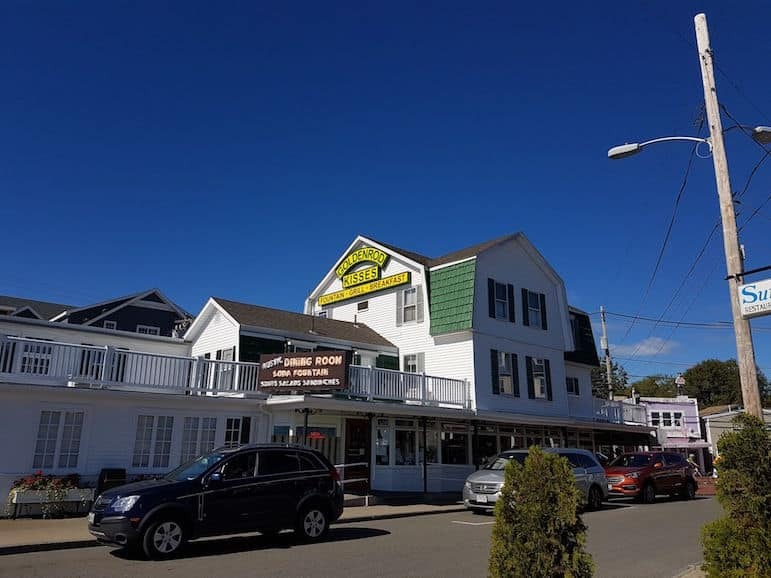 Inn of Acadia – Another 10 miles along the US1 South, which contrarily loops northeast around the contours of the Canadian border before starting its descent towards the Florida Keys, this cute and comfy inn is an ideal base in the heart of the St. John Valley. The day started with breakfast at the Inn of Acadia, served with a side of history. “Would you like a ployes?” asked the hostess. Pronounced “ploy”, it sounded a little shifty. But a ployes is actually a buckwheat flatbread filled with fruit (I chose blueberries) and topped with granola. 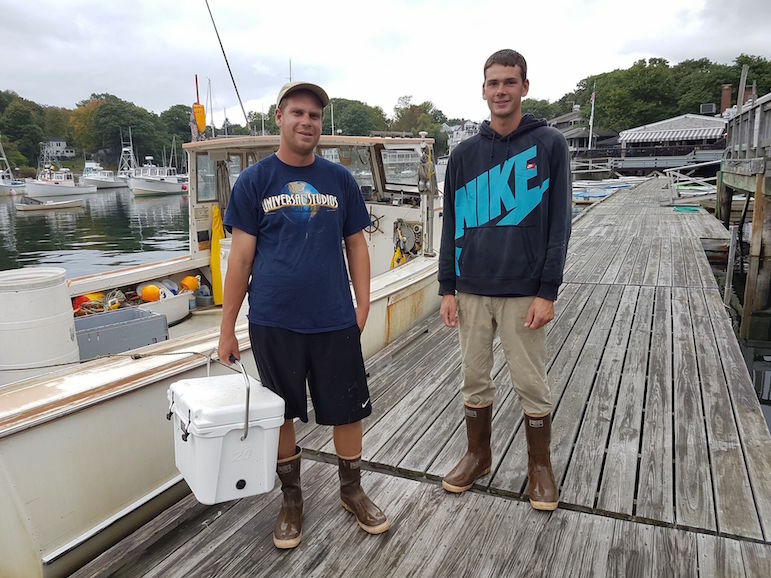 It’s a food tradition started by 17th-century French settlers who established Acadia, which covered Eastern Canada and parts of northern Maine. The legacy of French Acadians is everywhere, from this tangy breakfast treat to road signs saying “bienvenue” and “au revoir”. This was a long day of driving – 218 miles, to be exact. But every single one of them made me glad I jumped in my car. 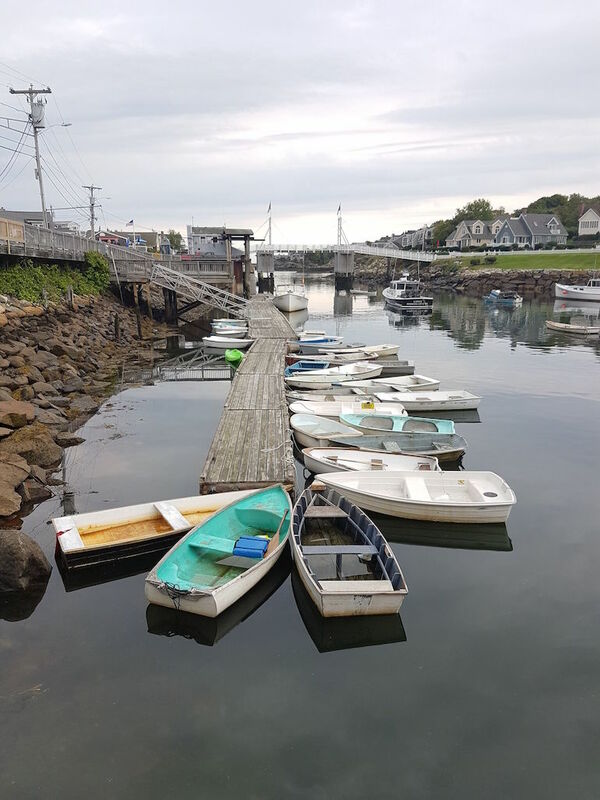 The 527 miles of the US1 that run through Maine are some of the most scenic, cuddling the coastline and knitted with loops that bring you even closer to the rivers and lakes that trickle and rush to the Atlantic. On the first part of the route from Madawaska, towards Houlton, the road is peppered with planets. This is the world’s largest scale model of the solar system, arranged over a 40-mile stretch. The funniest (no, not that one) was Pluto at the Maine Tourist Information Centre. Relatively minuscule, it is represented by a marble-sized sculpture behind a glass frame. The road then passes through tiny towns Caribou, Presque Isle and Houlton before hitting the “Million Dollar View”. The rather immodest name felt justified as I pulled in to every lookout point to gawp across the Chiputneticook chain of lakes, with Mount Katahdin and adorably-named Peekaboo Mountain visible in the distance. The sparkling sapphire of the lakes bled seamlessly into the emerald landscape – and I’d imagine owning property with even a nugget of that view would cost more than a million dollars. Whiting Bay B&B – This homely guesthouse is set in 7.5 acres of field and forest looped by a horseshoe of water. Antique furniture and plush, quilt-covered beds make you feel like an honoured guest in an episode of Downton Abbey. And owner Brenda Gay, also a private chef, whips up a mean breakfast – an heirloom tomato tart, ham and eggs when I stayed. 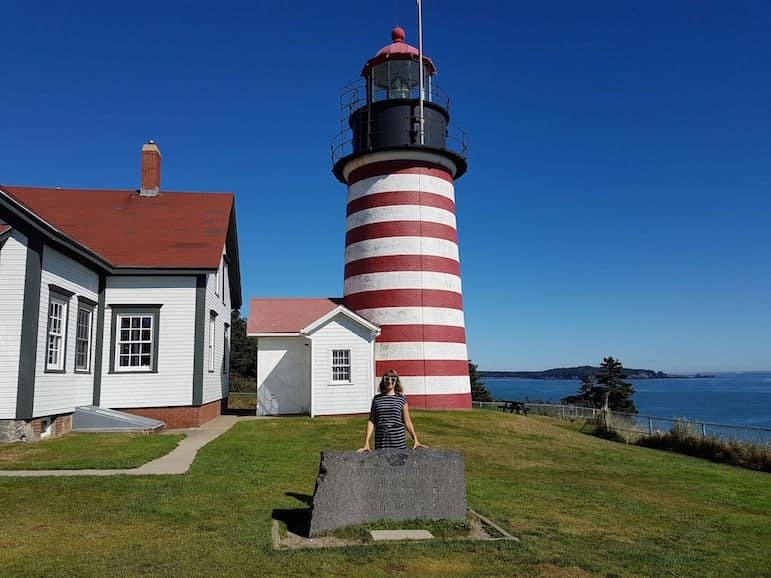 Maine is known for its lighthouses, and the one in West Quoddy Head is a candy-striped dream. Reached from Whiting Bay B&B via Route 189 to Lubec, this is the easternmost lighthouse in the US. And – hello! 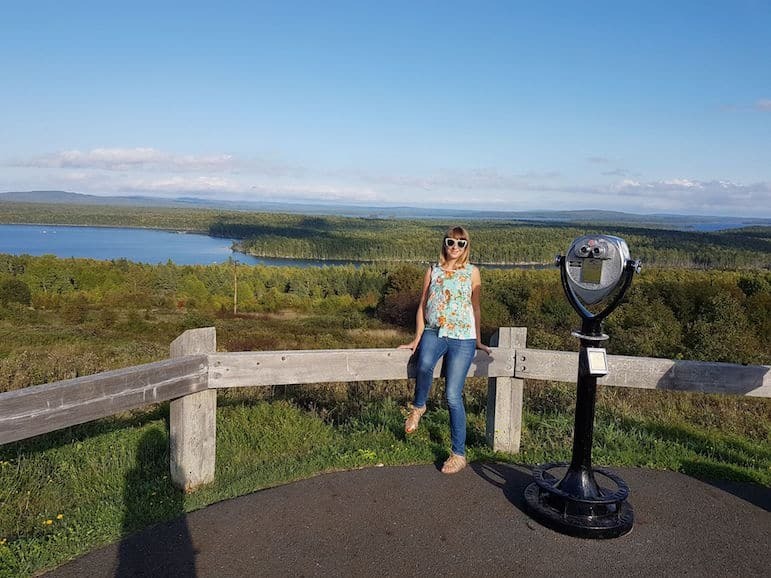 – there’s Canada again, as views reach the red cliffs of Grand Manan Island. 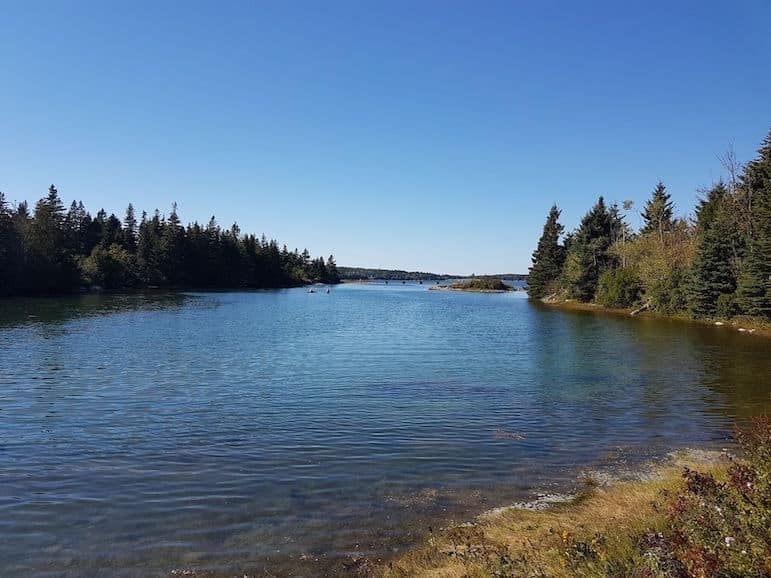 Next my road trip took me to the centre of Lubec – an unaffected, charming stretch of tiny galleries, chocolate shops and seafood restaurants, with its own soundtrack of gently lapping waves. From the US1, Route 187 loops on to a section of the Bold Coast Scenic Byway. An undulating stretch of pine and fir trees gave way to glimpses of mudflats and sea views so uninterrupted it felt like driving on the ocean. I wasn’t, I promise – as that was before I had even stopped at Bartlett Maine Estate Winery, just off US1 before Gouldsboro. 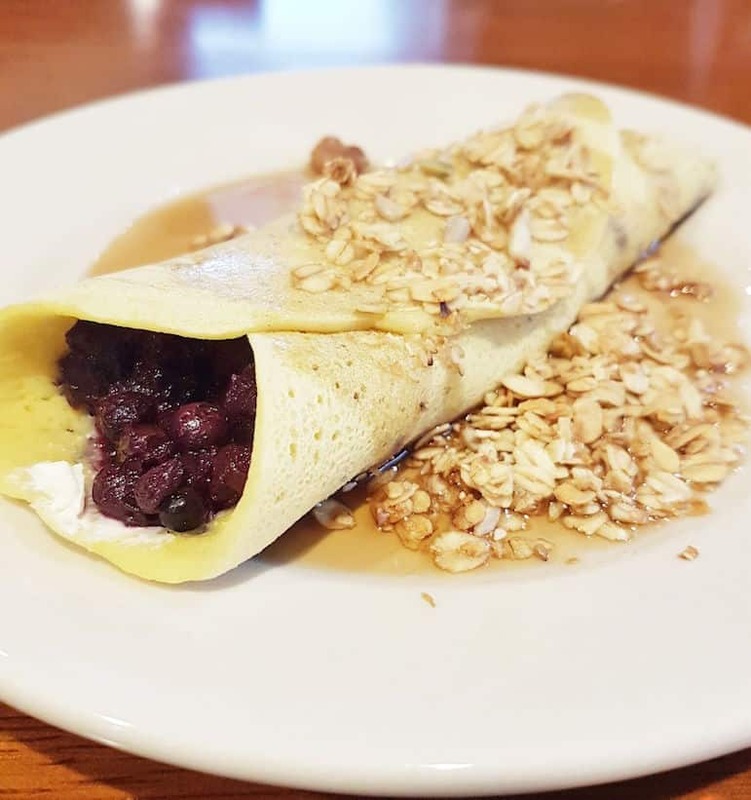 This place is a little different, with wines made from local wild blueberries – the official fruit of Maine. I liked the Wild Blueberry Oak Dry, like a pinot noir with a jammy finish. They also have a distillery, making an 80 per cent proof apple brandy. I swerved that one, needing to get back in the car. A little farther south, Route 186 travels the Schoodic National Byway before looping back to US1. Kayakers paddle through bays surrounded by wildflowers and fragrant shrubs. The short drive leads up to Schoodic Point in Acadia National Park. This rocky outcrop is the perfect spot to stop and stare at the ocean. Ticking off another of the most popular places to go in Maine, I arrived in the seaport town of Camden just in time for sunset over its peaceful harbour, sheltered by mountains including Bald and Battie (like characters from Last of the Summer Wine). Tap & Vine is a lovely spot for a glass of wine and cheese plate while watching the sky turn pink. Then it was “lazy lobster” – just the tender meat, pulled from its shell – in butter sauce with greens and fries, on the harbourside terrace at Waterfront restaurant. 16 Bay View – The hotel’s rooftop is Camden’s hippest place for sundowners, with views over the harbour as the water is bathed in a soft pink glow. Rooms have private balconies, fireplaces and deep-soak bathtubs. Another day, another lighthouse. 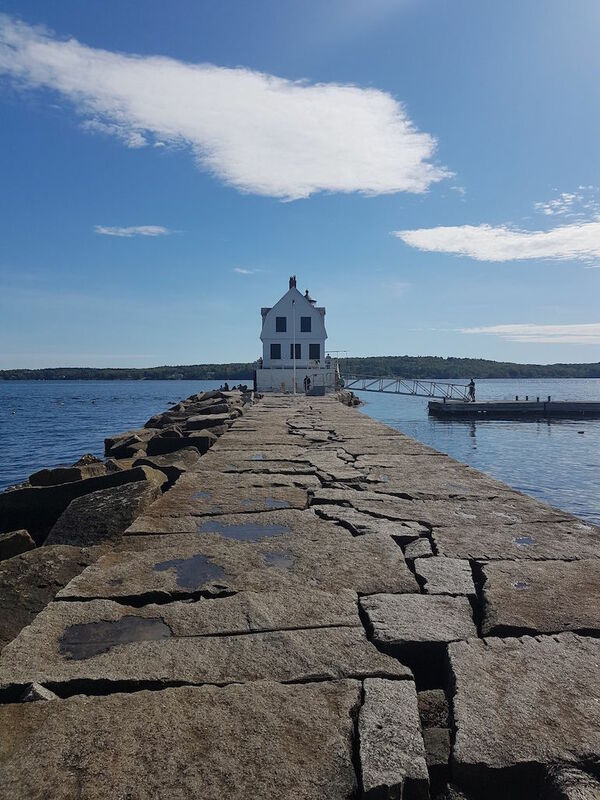 Rockland Breakwater Lighthouse makes you work for the privilege of meeting it, hopping over crevices in the breakwater for around 0.8 miles to reach the tip. 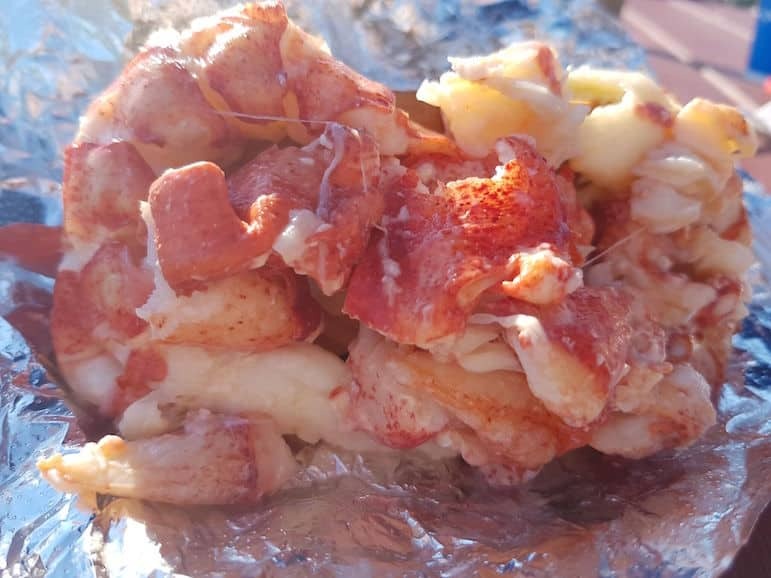 That fresh sea air can work up an appetite, so I parked up at Red’s Eats in Wiscasset. This tiny shack with bayside seating attracts hour-long queues for its famous lobster rolls, which have won numerous accolades and attracted stars from Kevin Costner and Robert Redford to, erm, Bear – the canine star of The 12 Dogs of Christmas (me neither). Still, with at least one whole lobster in every roll, served on buttery brioche loaf and with extra melted butter on the side to boot, it’s worth standing in line for. Suitably sated, it was on to Maine’s hippest spot – Portland. 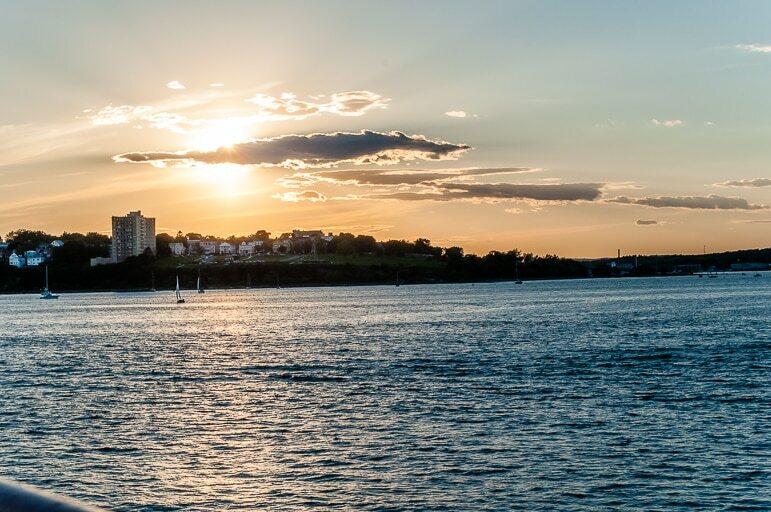 This small, walkable city is blessed with a waterfront setting and vibrant art and nightlife scene. I only had one night here, so after walking the cobbled streets of the Old Port I sampled some craft beer at Novare Res – the Oxbow Bowie, a local blonde, was nutty and mellow. When time is tight, grazing at the bar is always a good option. Portland Hunt & Alpine Club serves Scandinavian-inspired sharing boards with cured meats and tongue-tingling pickles. The plate, dotted with halved quails’ eggs and curls of pickled radish, was a work of art. They mix a mean old fashioned, too. The Danforth Inn – You’ll want to be near the restaurants and nightlife, and this boutique hotel in downtown Portland is a chic choice. Rooms are sleek and elegant with tactile fabrics adding warmth. For my last full day, I followed the salty scent of the sea down curly roads to Ogunquit. 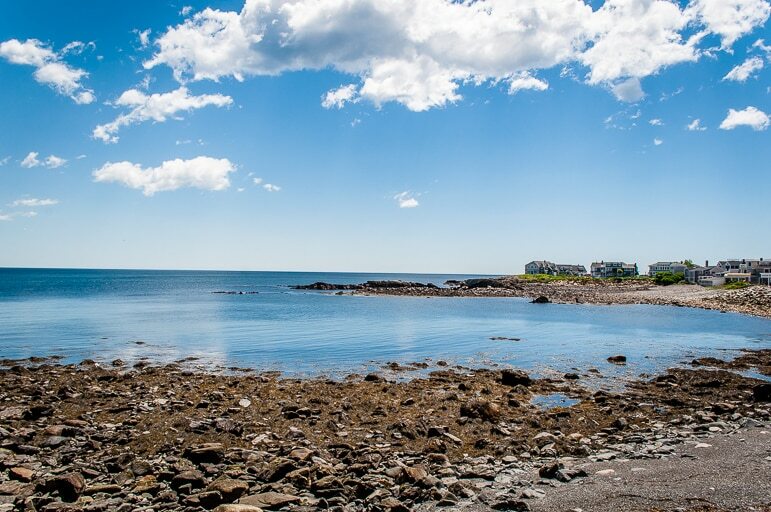 At the southern edge of Maine, its name means “beautiful place by the sea”. The veracity of that is evidenced by the fact its population, of around 900, rockets to tens of thousands when tourists are counted. I took a scenic cruise, one of the most popular things to do in Ogunquit, with Finestkind Cruises from Perkin’s Cove. Taking a pew at the bow, a crew member handed out cups of rum punch as we cruised past luxury resorts carved into hillsides and Museum of American Art in Ogunquit. Sculptures in granite and aluminum perch regally at the edge of its landscaped gardens. 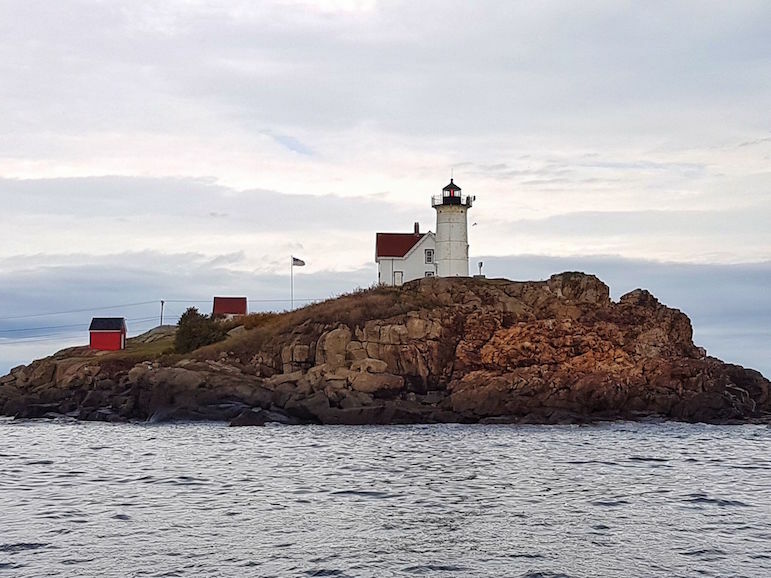 The cruise reaches Nubble Lighthouse, named because it was built on a “nub” of land off Maine’s rocky coast. But the real treat was en route back to the harbour, when Captain Bob let me take the helm for a while. Before waving goodbye to Maine the next morning, I headed to the neighbouring seaside town of York. With a wide honey beach, retro amusement arcade and saltwater taffy, it feels like time has stood still. I witnessed the sweets being made at The Goldenrod, where a glass window looks on to the machine that pulls and stretches the taffy to give it that paradoxically light yet chewy texture. 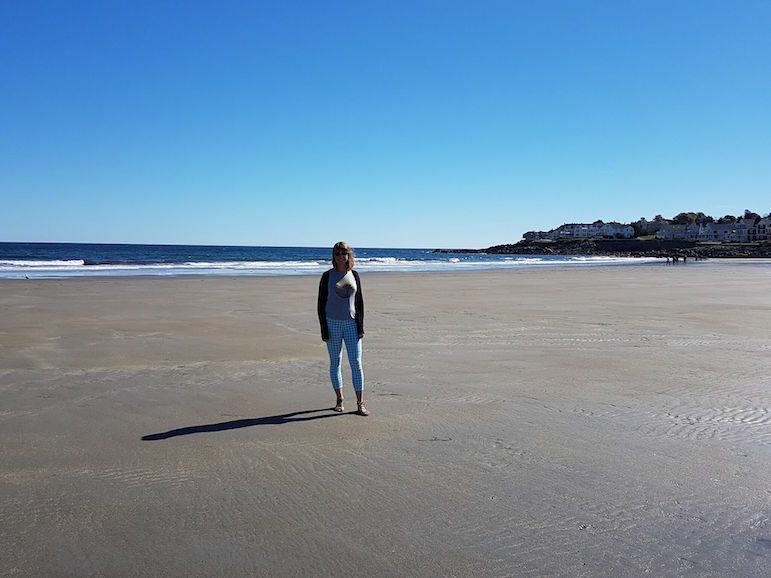 My time in Maine was part of my #DriveUS1 road trip. 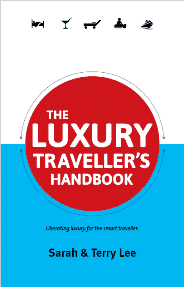 See more about this great American adventure and find out more about travel to Maine and the US. Meadowmere Resort – a short stroll from Ogunquit beach and downtown, this cute resort has a pool and hot tub, while luxury suites feature fireplaces, Jacuzzis and four-poster beds. 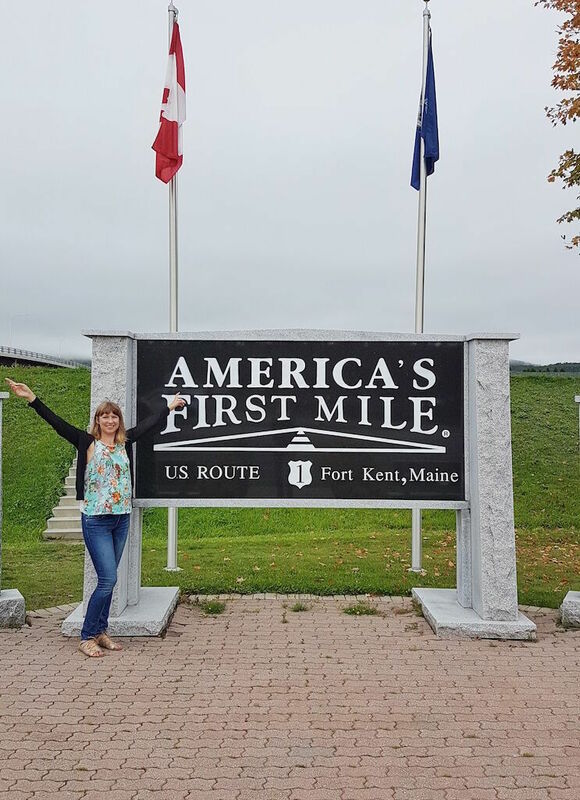 Ella is a travel writer on our great American road trip adventure #DriveUS1 - taking in the whole of US Route 1 from Fort Kent, Maine to the southernmost point of the US, in Key West, Florida. I love the idea of doing a lesser known roadtrip in the US and it seems like you’ve discovered some gorgeous places already. I’d love to visit the hipster hub of Portland and am now craving Saltwater Taffy having always wondered what it is! Maine’s a lovely part of the world, I was there last year and loved Portland, and yes, it has that lesser-known aspect to it. So it’s a great place to explore! Wow what wonderful descriptions. You should be a writer. Besides the pictures your descriptions made everything so inviting. My husband and I plan to visit next year but want to RV.